With the elegant Floral Corset Cling Stamp Set you become the fashion designer! 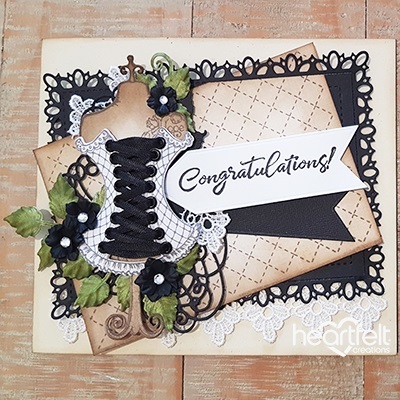 A superb assembling of ornate and elaborate vintage style corsets provide a multitude of opportunities for accessorizing and stitching together gorgeous ensembles when paired with the Floral Fashionista and Elements of Fashion Cling Stamp Sets! 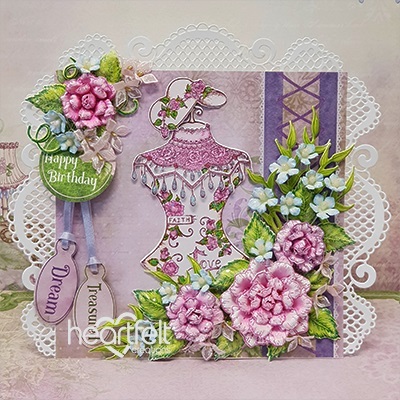 Whip up a sophisticated one of a kind fashion themed handmade greeting card, a suave memory preserving scrapbook layout, or captivating altered art creation perfect for any occasion!